When an atheist Philosophy professor (Kevin Sorbo) plans to forego "dusty arguments" in his class, he insists the new students declare that "God is dead." 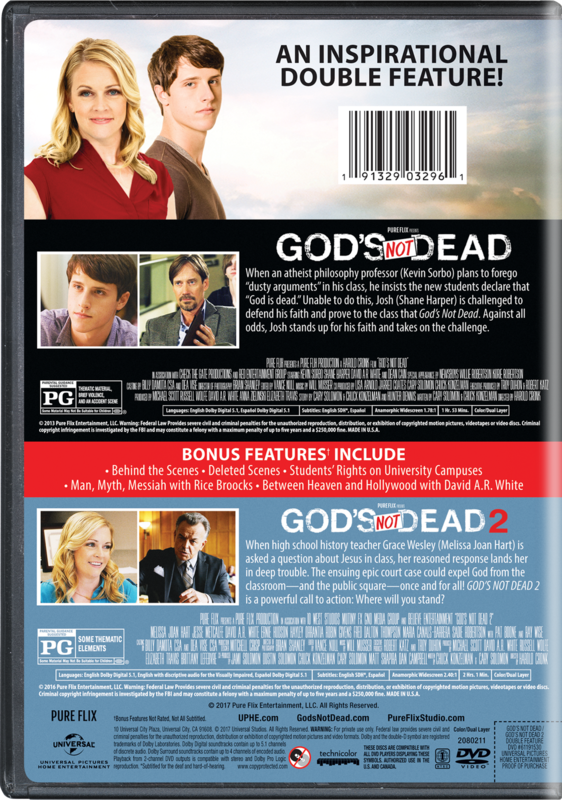 Unable to do this, Josh (Shane Harper) is challenged to defend his faith and prove to the class that God's Not Dead. Against all odds, Josh stands up for his faith and takes on the challenge. PG - for thematic material, brief violence and an accident scene.